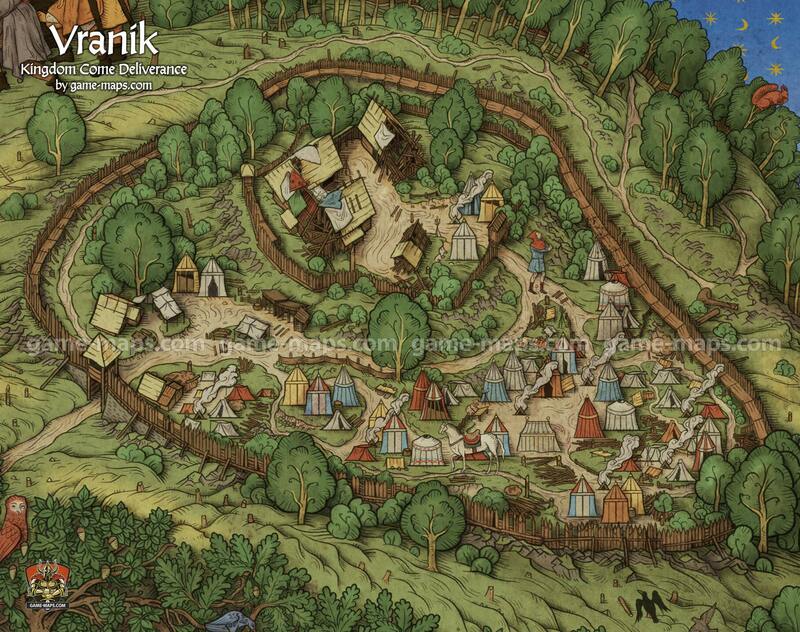 Map of Vranik in Kingdom Come Deliverance KCD Video Game. An early medieval hillfort first settled sometime around the 9th and 10th centuries. The northern side is protected by a steep slope leading down to the river and continuing north-eastwards in a narrow, rocky strip of land which opens into a spacious headland formed by a meander of the river near Přívlaky village. The hillfort is surrounded by a still visible, although in places strongly eroded oval rampart.